to Peasmarsh, Beckley, Northiam, Newenden, Rolvenden, and Benenden. Wednesday (Corn), Saturday (Meal), and every Wednesday fortnight (Stock). Rye, a borough town in the county of Sussex. It stands on an eminence near the mouth of the river Rother. In the reign of Edward III., Rye sent nine armed vessels to the royal fleet when that monarch invaded France. In the next reign it was burnt and plundered by the French. 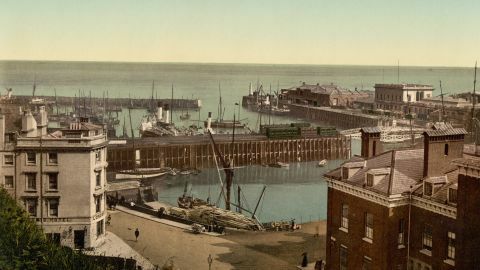 From this and other unfavourable circumstances, the town remained for many years in a state of great decay, but its prosperity has in a great measure been restored. 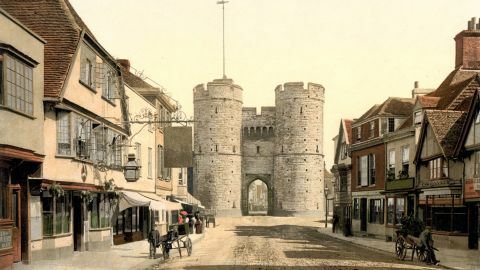 The Landgate, and the Tower built by William De Ypres in the reign of Stephen, and still called the Ypres Tower, have a venerable and picturesque aspect. The Church of Rye is considered one of largest churches in the kingdom. 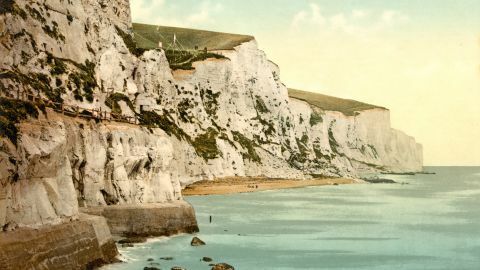 Folkestone is rapidly becoming a much frequented watering place, as well as a favourite point of embarkation to France; the distance to Boulogne is only twenty-seven miles.